The royal wedding is put at stake when an engagement ring with a rare diamond is stolen from princess Sophia’s compartment. 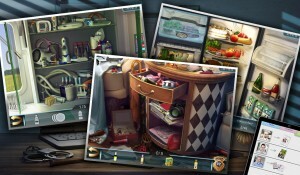 Take on the role of a seasoned detective and solve this daring crime in a fascinating hidden object adventure game. The princess Sophia and her retinue were going back to her country after the engagement ceremony when the diamond ring disappeared from her compartment. You are summoned to the scene of the crime to find the loss and the thief. Explore smoothly drawn hidden object locations, solve mesmerizing puzzles and complete original mini-games to crack the case and save the wedding of the century. Royal Express takes advantage of so-called closed setting familiar to all fans of classic detective stories. As a police officer, you are to question the participants of the incident to expose the villain. However nothing is as it seems at the royal court. As you gather evidence and proceed on the investigation, you understand that everyone in this story has a skeleton in the cupboard and could have wished to break the engagement. Love, greed, envy or political schemes? 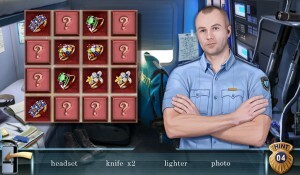 Are you smart enough to unravel the intrigue in Royal Express: Hidden Object Adventure?